Xiaomi confirms MIUI 7 with marshmallow coming soon ! 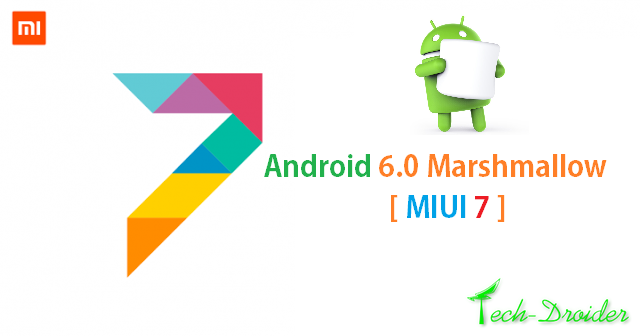 Xiaomi has official revealed that they are going to release official MIUI 7 with Android 6.0 Marshmallow soon for many Xiaomi Devices . The company has confirmed this in a Weibo Post , Accordingly Xiaomi Mi 4 and Mi Note will be the first devices to get Android 6.0 Marshmallow ( MIUI 7 ) update .